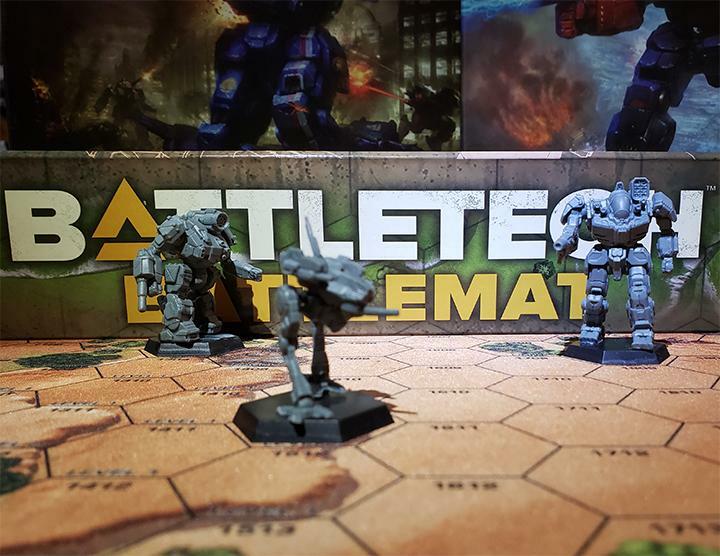 It’s no surprise that BattleTech, which is a war game, has a lot of wars. A lot of strife and conflicts. That’s what we need to keep the property moving. Succession Wars? Wars of Reaving? Clan Invasion? The Jihad? We have wars in spades. 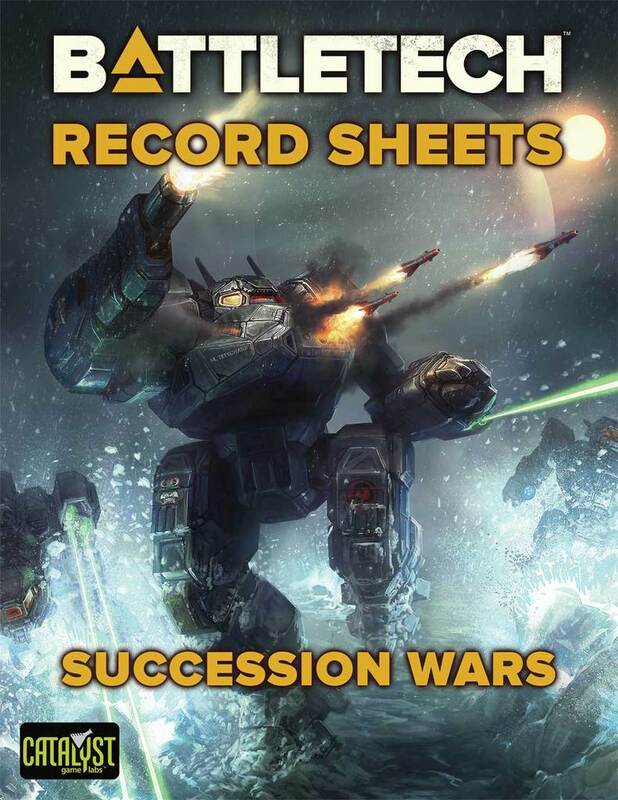 So given that, I thought it would be an interesting thought experiment to delve into some of the history of the wars in BattleTech that meet the jus ad bellum, or Just War criteria. I’m currently working on (yet another) Master’s degree, this time one in Theology as a Catholic College. In the European tradition, for centuries during the height of the Catholic Church’s power, war between Christian states was virtually unheard of. The amount of stuff you had to jump over into order to declare war on your neighbor was rough. From St. Augustine who began the Just War tradition to St. Thomas Aquinas who formalized it in his philosophy, we have a major shift in the way war is viewed. In fact, the Pope would often and regularly lean on people to not declare war, or to end it immediately, when these conditions were not met. The only major exception during this era was the Hundred Years War which began during the weakening of the Papacy and the Avignon era. In order to declare war, you needed a casus belli. A just cause. But you also needed a lot more as well. They fleshed out a list of things you needed to do, before and during the war, in order for it to be just. And this just concept of war continues through today in major philosophies, politics, military, and other places. So I thought it would be a fun thought experiment to go over the jus ad bellum concept of a just war, and then look at some conflicts in BattleTech to see if they line up. I’m using a few books as the core for this article. One is Ronald Musto’s The Catholic Peace Tradition that looks at the history of Peacemaking in Catholicism, and talks about this at length. 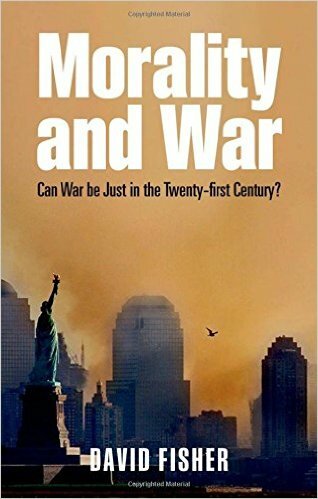 But the major one is Morality and War, by David Fisher. Both a trained philosopher and a high level position in the British Military for about 20 years, he has a unique perspective about what is just, and what wars have been as well – he comes from the practice side as well as the theoretical one. In particularly, his 4th chapter outlines this quite nicely. And he’ll look at dozens of conflicts, wars, attacks and more to try to suss them out. So what is just? What does it require? These are great questions – let’s check it out! So let’s look at each of these in turn. Authorized by a competent authority. This was added to the tradition by Aquinas. His basic point is that some ruler of a city or a Baron somewhere can’t declare war justly. It has to come from the highest power in the land. If it does not, they it isn’t a just war. A just cause requires a legitimate reason for going to war, not the mere pursuit of land, materials military factories, or more. There needs to be a major just reason. Was someone just invaded? Is a massive humanitarian catastrophe about to happen? Take the Six-Day War as a good example. Israel argued they were defeating themselves preemptively and that Egypt had unfairly cut off their oil and other supplies by the closing the Straights of Tiran. So a just cause would be to fight and capture the ports, or to free up the Straits for their shipping. The next requirement is a right intention. Is there a just cause in the actions itself? Many rulers will use a just cause as an excuse, but then really want something else, right? So in addition to being a good just cause, one of the key ways to know if the reason for the war was rightfully intended is if the side that declares the war ends it when their objective is achieved. Take a real life war like the first Gulf War as a good example. The just cause was removing Hussein from Kuwait. That is a just cause; he just invaded and took it. And as soon as the goal was achieved, the war ended. That is a right intention. Is this a last resort? Were other things attempted first, such as diplomacy? That is needed. Now I would certainly claim that sometimes a last resort is sort of obvious. America entering World War II after being attacked is a last resort. You don’t need to ask Japan for reparations instead, after they bombed Pearl Harbor. You also need a level of proportionality. If you have an issue, and your response is a lot worse, then that’s not just. If you drop a nuke to end a minor military junta that was only hurting the locals a bit, then that’s not proportionate, even if you only took out the junta leaders and military. Finally, are you trying to keep civilians safe? Out the way? Or have you harmed civilians by putting them into play or on the battlefield? That is not just. If you kill civilians as an accident hitting legitimate targets, that’s one thing. If you bomb a military base, sure, you’ll likely kill some civilians. But it’s still a military base. That’s a fair target. 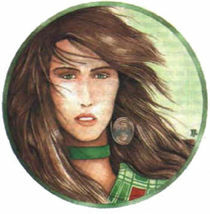 The Aleisha Liao led Ares Conventions puts a lot of just precepts into play in the BattleTech universe and the clan concept of Zellbrigen echoes it as well. Alright, so given that, what wars count as Just? Many conflicts are out straight away because they never had a just cause to begin with. But let me start you with a war that I believe actually qualifies as just from every definition. And then you can see how that operates. The ruler of the Free Worlds Leagues discovers that his son and heir passed away, and was secretly replaced by a fake by the Federated Commonwealth. The implications of this are obvious. If the duplicate takes over, then the League is in a bad place due to duplicity and subterfuge. Going to war against the Commonwealth is the only way to punish them for this atrocity. It is a just cause. And in this case, given the surprise nature of the attack, the last resort is arguable as well. Now what is the intention? To punish them. What does that punishment look like? Merely taking back the worlds that were captured from the League by the Commonwealth in the Fourth Succession War. The Free World League even has international support from the Capellan Confederation and the now-splintered Lyran Alliance to show solidarity. The war begins, the Free Worlds League takes their targets quickly, and then they call it. Peace is achieved, the Commonwealth is suitably punished for their actin, and the status quo occurs. That is a rightful intent, just action, and more. The Free Worlds League theater of the Operation meets the requirements of jus ad bellum, just war. On the other hand, the Fourth Succession War by the Federated Suns and Lyran Commonwealth certainly isn’t. Even if you grant that Hanse Davion wanted to punish Maximillian Liao for doing something similar with a duplicate, his response came years later, and therefore lacked the immediate last resort concept. Nor was his response proportional, nor with a right intention. He wanted to end the Capellan Confederation as a state. That is different in kind to the Free Worlds League response. Without rightful intention, and without a last resort and barring a proportionate response, the Fourth was not a just war to my mind. And we can do that with other conflicts in the universe all day. So what conflicts are out there that you think are just? What is close? How about the common fighting in cities we see? Barring a major military target in there, is that truly keeping civilians out of the picture? This entry was posted in Editorial on 2016/11/14 by Abe Sargent. The justification for Operation Guerrero by FWL is hypocritical. Did not Comstar replace Thomas Marik with a duplicate? So even if the duplicate Thomas’ son died and was replaced he does not really have the justification. The duplicate Thomas is punishing The Federated Commonwealth for doing exactly what Comstar has used him for. I cannot see this as a just war. I hear you! Thanks for writing! But even if you removed all of the family dynamics from the equation, the heir of one state was replaced by the doppelganger of another. That’s a huge Act of War if discovered, even removing who is what from the equation. I also strongly disagree with the notion that punishment for a non-military matter could be a just cause for war; I certainly don’t see Operation Guerrero as an ultima ratio war. And the Fourth Succession War? I see Hanse Davion’s hypocrisy, yet you’re not doing him justice by ignoring the context: neo-feudalism, which has the unfortunate tendency to mix up the wishes and well-being of the state with the wishes and well-being of its monarch (you fell for that yorself when you postulated a just cause for Operation Guerrero, and what I’m saying is that the in-universe mindset might agree); and there is a rather artificial distinction between the Third Succession War and the Fourth. You could well argue that Hanse just sought to wrap up the Third and thus continued an existing conflict, not started a new war. I hear ya. But there are non-military based moves that have required a just war. The Six Days War is a good example. A few weeks before that war, Egypt locked Israel out of using the Straits of Tiran, which would have a major economic impact on the nation. Israel attacks, takes out Egypt, and gets the Straits cleared, in addition to winning the Sinai Peninsula as a buffer zone, which is later traded back to Egypt for peace. That war is often seen by Just War folks as a good example of a Just War. And there’s no military move. I’d argue that, like economic strangling, replacing the heir of a nation with your own secret agent is a non-military cause of war. But I’m fine that you don’t see it that way. I’m good! But remember that a just war needs more than the just cause. I grant you that Hanse had a just cause for the 4th, but he didn’t keep it clean. He attacked other nations. He sought to do a lot more than just punish the state in question and to redress that wrong. Unlike the FWL later in Guerrero. There was no Right Intention, the third clause of just war. Operation Birddog and Operation Bulldog are two of the more obvious ones along with Task Force Serpent/The Great Refusal/the Inner Sphere’s responses during the Clan War. None of the Succession Wars, any of the Star League Wars except for the War against the Usurper (and the Houses mostly stayed out like whiny dogs), the invasion of the Republic and the Dark Age conflicts, and Word of Blake’s actions during the Jihad are just wars. The Inner Sphere isn’t a very just place, the Periphery is more so. True. That war met a lot of the qualifications of a just war, and I didn;t think about it. Good job! I would disagree with the Periphery being a just place. The Taurian Concordant was constantly preparing for war with the Federated Suns, and launched an attack on them when Taurus was struck by an asteroid with only the smallest bits of evidence. It also seems likely that the Taurians, had they been able too, would have engaged in wars of aggression against their neighbours quite easily, but lacked the means. The Marians and Circinians are both very militaristic factions, engaging in outright wars of aggression (the Marians certainly more so), but the Circinians engaged in conflict over a number of worlds with both the Lothians and the Illyrians. The Magistracy also attacked House Liao in alliance with the Anduriens. It seems to me that the Periphery (baring the Outworlds Alliance) is plenty happy to make war just the same as the Successor States, merely lacking the means to compete with the Successor States, and sometimes the place. If the space near the Taurians was as populous as it is Anti-Spinward of the Canopians, I have little doubt they would have engaged in combat with their neighbours should the fancy strike them. 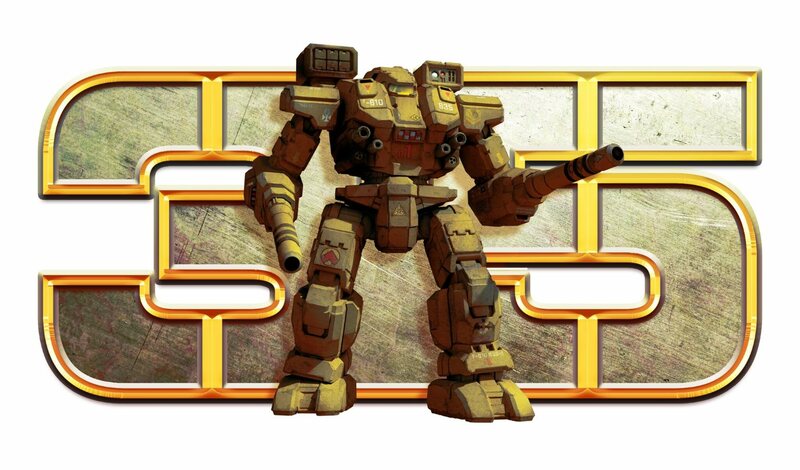 The Jihad comes to mind for me – it’s essentially WWII In Battletech. At the aftermath – it did usher in a period of peace and unity. Hnh – odd gap in not mentioning that under “just cause” that wars must be defensive, that seems to have been the sine qua non of the JW theory since … forever practically. Some fodder for the discussion (and maybe your theology work) : http://www.mtio.com/articles/bissar96.htm – no, I am not a lutheran; it’s just an interesting article on the topic. BT is quite a messy setting, and it gets more sticky when you start considering the use of mercenaries. Not always. There is the Caroline Affair that led to negotiations as to when a preliminary attack is justified. Plus, defensive is often offensive later. If one nation attacked and took land and other things from you unjustly, merely for the pursuit of land, and now your people languish in poor circumstances, and seek freedom, is that a defensive war that is declared later to free your people and readdress the wrongs? I would think that is a just cause, especially if you have a good chance of winning and it’s not just bitter grapes. Oh, and thanks for the link, I appreciate it. An interesting article, but what I really want to know is this: was the Clan Invasion a just war, and if not, how close was it to being a just war? You could argue that the crusader clans saw it as just, conquering the houses of the inner sphere who had destroyed the Star League out of greed in the first place. 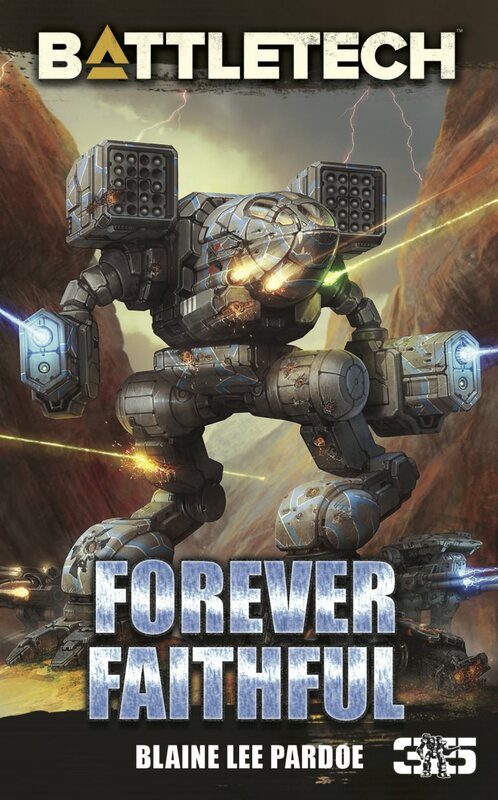 To that extent, the Steel Vipers probably saw the wars of reaving as just: they were cleansing the clans of the inner sphere’s “taint”, though all it led to was a succession war style conflict that separated the home and spheroid clans, and led to the destruction of several clans including the Vipers who initiated it. Likewise, the Word of Blake probably saw the jihad as just, since they were about to join the second Star League (and potentially gain power through it) when it was disbanded. Generally, I do not believe people go to war unless they believe their cause to be just. After all, how do you fight for a cause that you have no faith in? Forgotten in the discussion of the 4SW is the real reason Hanse Davion decided to squash Max Liao — am I the only one who’s read Ardath Mayhar’s _The Sword and the Dagger_? No one recalls where Hanse Davion got the idea of “replacing a Successor Lord [or heir] with a clone”? If Guererro was “Just”, then 4SW was as well. And let’s face it — both of those conflicts were just revenge-actions. Neither one is just. It’s true, they had that similar initial just cause. I agree. In fact I mentioned it in my assessment of the 4th. But, there are five characteristics for a war to be just. And yes, the cause was just, but there has to be a right intention. Right intention means that once you reach your war goal, you need to end it. Take the measured response by the FWL in Guerero, taking a small number of planets as punishment, and then calling it, to the massive response by Hanse to try to end the CC. He used it as an excuse, rather than fighting for a right intention. Let me give you some rightful intention examples. In the first Iraqi War, the world responded to the invasion of Kuwait, and wanted to end that. Good, that is a just cause. Once Kuwait was freed of Iraq, victory was declared and war ended. That is a rightful intention in practice. If we had annexed Iraq, that was not the stated just cause, so that would not have met the rightful intention. Many people in real life and fiction use a excuse to declare a war for territory or personal grievances to settle old score,s, to remove a religion, ethnicity, or enemy off the map. So in order to tell f someone has just cause is truly the motivation, you just look at their actions. I grant that Hanse may have had just cause for the 4th against the CC. But he did not have a right intention, therefore it did not meet the just concept of war. The main reason Thomas Marik only went with reclaiming what Janos lost was: Thomas wasn’t stupid enough to think he had any chance of accomplishing much more than that; even on its best day, the FWL isn’t much for expanding its territory. As to Hanse ending the Capellan Confederation: Between Max and Romano Liao, exterminating the Capellans would be no bad thing. At best, the Liaos are no more self-centered and greedy than any other Successor House; at their worst, tho’, the ghost of Elias Liao rises over them like a cloud. And Max and Romano certainly lived down to Elias’s standard. How about the Amaris Civil War? The Amaris cou strikes suddenly, leaving the SLDF no choice but to fight back to free Terra. I disagree with the idea that war was unknown in Europe when the Catholic Church was at its zenith of power and influence. Didn’t they kill people who were atheist, pagan, Jewish, Muslim and/or Protestant (in the Old World) and people of pagan indigenous religions also (when the Catholic conquistadores arrived in the New World)?!?! I think that Hanse Davion was fighting the concept of authoritarianism and sacrifice of the individual to the state’s leadership, when he decided to fight the Capellan Confederation and punish Maximilian Liao for his espionage and plotting to kill Hanse. Also, isn’t the liberal capitalism of the Federated Suns a freer society than the planned stagnation of the Capellan Confederation? It would be a lot like the Anglosphere opposing Red China under Chairman Mao (change one letter and one word, and you get Chancellor Max!) BTW, I’m partial to Hanse because his middle name is my first name, and I happen to be of Protestant descent because my ancestors fled Europe due to discrimination in the early 1900s by the Catholic rulers of Austria-Hungary. Operation Guerrro was not justifiable. A child Thomas Halas knew wasn’t his? He also knew the reasons for VSD engaging in the doppelganger. VSD was worried the FWL would end the economic support of the Fed-com and DC for the Clan War. VSD wasn’t trying to replace the leader of the FWL, with a Manchurian Candidate, but merely provide the appearance of Joshua’s life until he could guarantee that Thomas Marik (Halas) didn’t take drastic action. It was a stupid move by VSD. Honesty would have been a better policy by far, but VSD never was good at statecraft. Gurrero wasn’t proportionate. Dozens of worlds and many thousands dead over one child? VSD didn’t kill Joshua, they just couldn’t save him. Guerrero was a calculated political move by Thomas to use as a reason for taking back the worlds lost in the the Terran Corridor. Calling Guerrro just, but the 4th SW unjust simply smacks of just being anti-Davion. Max Liao tried to kill the leader of a nation (Hanse Davion) and have in replaced with a puppet. He also actively tried to pit Michael Hasek-Davion against the rightful ruler and government (whether or not any war can be consider just in a neo-fedual state is questionable really) Hanse Davion has much more cause to go to war with the CC in the 4th SW than Thomas Halas did for reversing it. Indeed, the CC was perhaps the only other rationally led successor state at the beginning of the Succession wars other than the Fed Suns. The CC and Fed Suns should have been allies. The leaders of the CC had become inbred maniacs. Max Liao was the most dangerous leader in a generation or two, probably since the start of the 3rd SW. Considering your real life examples. The 1st Gulf War was not just. Iraq has long standing disputes with Kuwait over oil and territory. Indeed Kuwait was part of Iraqi within the 100 years prior. One could argue Hussein was simply rectifying and injustice perpetrated by the colonial powers on the division of territory after WW I. The US, UK, France and Russia did little to oppose Japanese expansion into Korea and China. By the time the came into conflict, Japan could reasonably argue they were reversing European colonialism (granted, they were just replacing it with their own) Japan’s attack wasn’t unwarranted. The USA had turned off the supply of oil and gasoline to Japan. The Japanese war, occupation and economy couldn’t continue with out it. It was an economic stranglehold. Roosevelt thought it might bring the Japanese to the table but moreover he thought it might provoke a conflict with the Empire of Japan. I’m no fan of the Axis powers, don’t take me as an apologist for two brutal regimes that committed truly evil acts. I reject the entire notion of Just War. It not only does not really exist, It’s an attempt to justify the unjustifiable. It’s more like a history written by victors. Applied to Battletech. None of these powers, perhaps with the exception of the FRR as a democratic state, engage in Just War. Their roles as despots precludes it. Their wars are by nature, petty and greedy by nature. They all look to impose their will and power upon others. Perhaps Warden Clans fighting against the Crusaders. They are still despots with a caste system based on the idea that one’s heritage determines your worth? We have to remember, ALL these factions are pretty much bad guys. It’s just a matter of just run of the mill dictators some even beneficient dictators or really vile despots. The entire notion of Just War is a construct used to try and justify something that should NEVER be necessary. It’s only when nations and groups refuse to negotiate in good faith that war would become necessary. … and it’s also validly used as a set of standards for when it is morally proper to engage in war, like when a nation is attempting to destroy your nation and your nation did nothing that properly deserves such. Nations quite often refuse to negotiate in good faith and quite often have grossly immoral goals, like theft and mass murder. That a territory was “yours” in the past does not give your nation the right to perpetrate a war in order to retake it. There must be another factor involved (for instance, thieves “have” a piece of someone else’s property, but it’s not their mere possession that justifies retaking. I dunno if anybody is still reading this but here is my two cents. Thomas Halas as an imposter and pretender to the throne, while competent did not have authority to launch the op. To avenge the so called replacement of the rightful heir with an imposter. The problem with that is that Joshua Marik was not the child of Thomas Marik he was the child of an imposter in fact if Joshua had ascended to the throne that would have been an imposter ascending to the throne. Isis Marik was the only rightful heir to the best of my knowledge. To reclaim lost Marik world’s. Okay I’m good with that I can accept that intent. Victor publicly admitted when accused that he did it and apologized , offering reparations so no it was not a last resort. There was no diplomatic exploration of a restoration of grievances. I can’t honestly accept this because Thomas Halas leading an invasion is a war crime as he has no authority to command the military or the mercenaries employed by the FWL. The imposter’s opening move was to get Sun-Tzu to launch state sponsored terrorism upon the Fedsuns the opening act of which as I recall was the bombing of a school bus full of children. I’m sorry but he knew what Sun-Tzu would do. To claim otherwise is insulting. He may not have known about that specific plan but he knew what he was sponsoring. Certainly I don’t harbor illusions that war will never occur. However war SHOULD never occur. The parties involved as well as those with vested interests should meet and negotiate it out. Of course when you have one or more sides that refuses to act rationally, you end up with war. Don’t confuse JUST war with NECESSARY war. WWII was necessary. It was not just. The US and allied powers had not checked the Axis powers when it was still possible to do so without war. The allies opportunity to claim just action passed when the US and Britain did nothing to stop Japanese aggression in Korea. When they did nothing to defend and protect Austria. (forget the Czechloslovakia and Poland) The war was necessary, but our own inaction and moral weakness meant that we ended up fighting a war that could have probably been avoided or at least much more limited in scope. Perhaps then it could have been considered just. To apply to Guerrerro. The Fed Com (and Fed Suns) were much more prosperous and open than the Cap Con and probably the FWL as well especially in the 4th SW before the prosperity afforded to the FWL in the Clan War. Sun-Tsu and Thomas took an action which effectively destroyed the Fed Com as an operant nation-state the one that could have brought lasting peace to humankind. 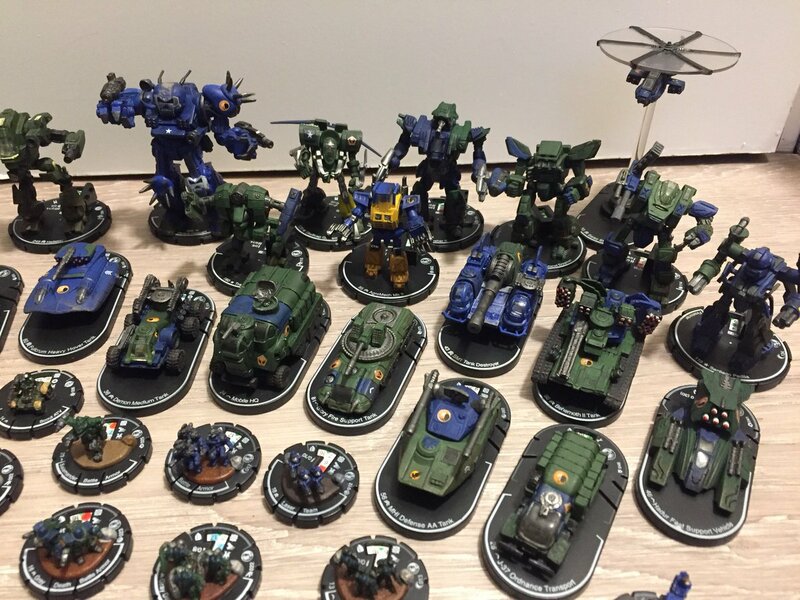 A unified Star League forged from the Steiner-Davions would have EASILY ejected the Clans, crushed the Wobbies and could have probably invaded and neutralized the Clans as threat. The problem with Just was theory, is that it often uses hindsight to justify it. Certainly, it seems WWII was justified because of the battle against totalitarianism and the horrors of the Nazi’s and the Japanese. However, we didn’t fully grasp their evil at the time and the war became just but at it’s onset, was only justifiable because we and our allies had been attacked. Why not speak of the one that is furthest from a ‘just war’, the Third Succession War was started for no other reason than the hurt pride of the Coordinator and lasted around 150 years. The only good thing about that war is that it didn’t have the intensity of the prior two. Let’s talk about the long term benefits of the Fourth Succession War. 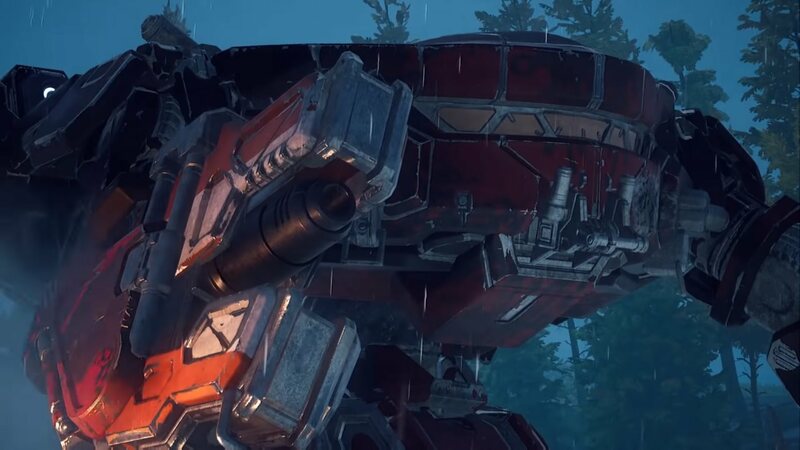 1) Romano Liao did not have access to the battlemech facilities on Tikonov. Before someone says that ‘being the younger sister she would not be in power’ she killed her sister out of petty revenge so I have little doubt she would kill her for power. My guess is that she would either do constant raids on the FedSuns half of the Commonwealth, poking the bear as it were, and would try to invade the Suns during the Clan Invasion weakening the Commonwealth’s ability to fight back both invasions. 2) Kai Allard-Liao. Since Justin Xiang Allard wouldn’t have gone undercover, he would not have fallen in love with Candace Liao and there would be no Kai, a key figure in the Clan Invasion not only planning but tipping the balance in Twycross completely in the FedCom’s favor, but also making sure that Victor wasn’t captured on Alynia, an occurrence that would have demoralized much of the AFFC. 3) Weakening of the Draconis Combine leadership allowing Theodore to take over. Think calmly and precisely about this, does anyone believe that the Combine would have survived the clan invasion if Takashi still had direct control of the military? The Fourth Succession War showed how obsessed and unbalanced he was when his pride caused the deaths of many regiments in his feud with the Wolves Dragoons. Seeing how successful Theodore was in the Fourth War, Director Indrahar used his influence over Takashi to grant Theodore more authority in military matters allowing for the reformation of the DCMS that not only pushed back the Davions in 3039 but created a force that could successfully fight against the clans. There is also the fact that they no longer had ‘responsibility for the Rasalhague District giving their military the ability to fight elsewhere without trying to control its citizens. I also note that you ignore the fact that the Capellan Confederation had a long history of causing terrorist activities on worlds that were claimed by the FedSuns, killing civilian as well as military targets. Exploiting the freedom that the FedSuns offer its people, they create an environment of distrust that allows the Confederation to look benevolent to the local populace before the hammer comes down. In a manner of speaking, Hanse was literally ending a long standing threat to his people. To be honest, you are wrong about Operation Guerro being just as it caused at least as much hardship on civilians as the Fourth Succession War and was started for the same reason, whether you wish to believe it or not, also no where in the prerequisites does it say ‘time’ as a factor on what makes a war just or not. Besides if you want to talk about monstrous, what do you call someone that kills SEVEN THOUSAND CHILDREN DELIBERATELY? 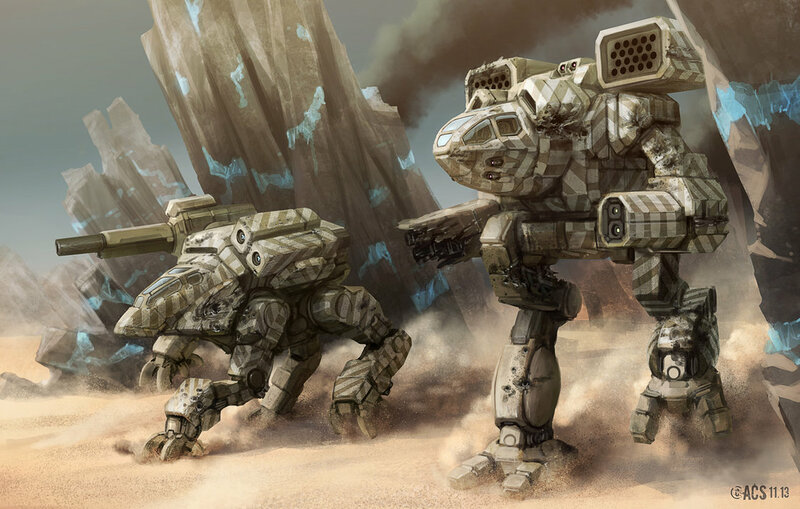 A Capellan MechWarrior. (3150 Technical Readout) Capellans time and time again have targeted civilians to the point where people would call them a terrorist nation. There are exceptions such as Aleshia Liao and even Sun-Tzu Liao, but most of the Chancellors had the mental sanity of Romano Liao.